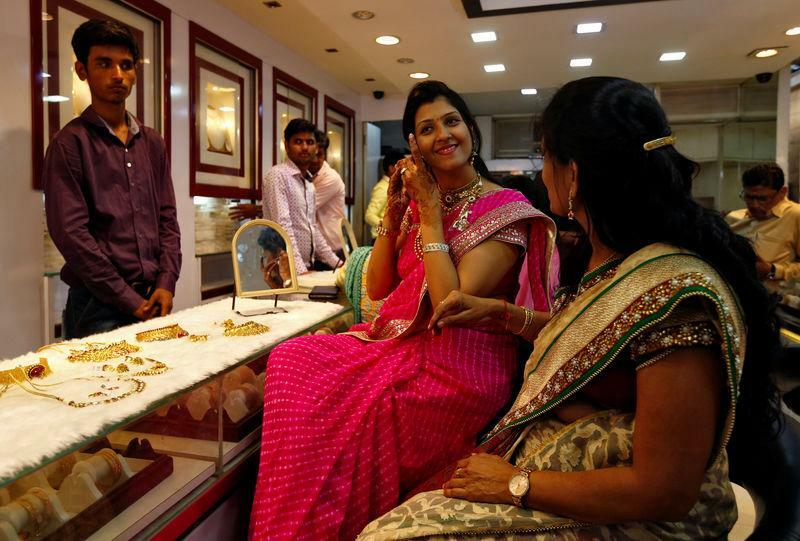 MUMBAI/BENGALURU (Reuters) - Gold is trading at premium in India for the first time in more than two months on robust demand following a busy festival week, while a dip in global prices earlier this week helped bullion's appeal in some Asian hubs. Dealers in India, the world's second biggest gold consumer after China, were charging a premium -- the first time since early September -- of up to $3 an ounce over official domestic prices this week. "After poor sales during Dusherra, jewellers were expecting weak demand even during Diwali. But surprisingly, demand was better than expected," a Mumbai-based dealer with a private bullion importing bank said on Friday. "Jewellery demand improved in last few days due to a correction in prices," Mangesh Devi, a jeweller in the western state of Maharashtra, said. Local gold prices were trading near their lowest level in six weeks, as the rupee gained versus the U.S. dollar,, translating into cheaper rates in the international market. The country's gold imports in October fell 43 percent from a year ago to $1.68 billion, pointing to lower supplies. In China, premiums of $4-$7 an ounce were charged over benchmark rates, slightly above last week's $4-$6 range. "We saw some buying when the prices came down to $1,200 per ounce level... But when the market went up to $1,215 it became quiet," Ronald Leung, chief dealer, at Lee Cheong Gold Dealers in Hong Kong, said.